Day four in China and I'm getting used to the Asian lifestyle. I even feel confident now crossing the massive four line junction on the way of my friends house on a red traffic light. It's crazy, isn't it? But as cars cross on a red light as well it doesn't make any difference, if pedestrians cross on a green or red light. 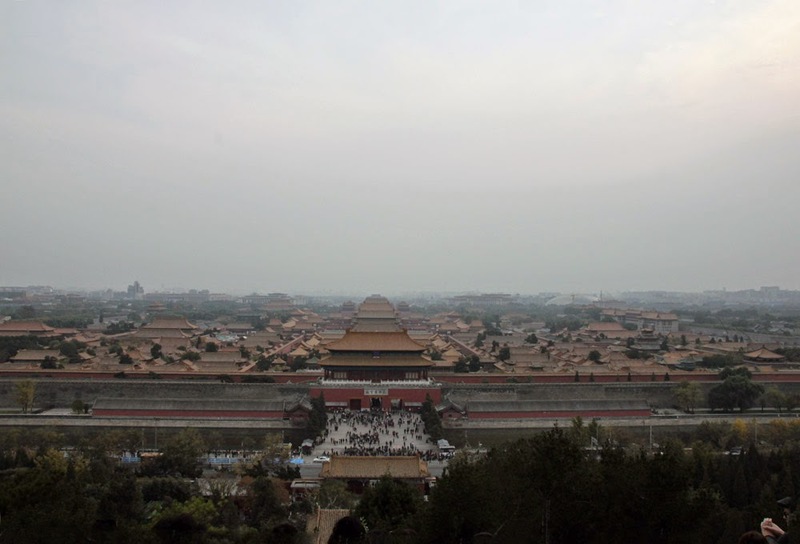 After I have seen the Great Wall on Monday I went to see 'The Forbidden City' another famous sight up here on Tuesday. 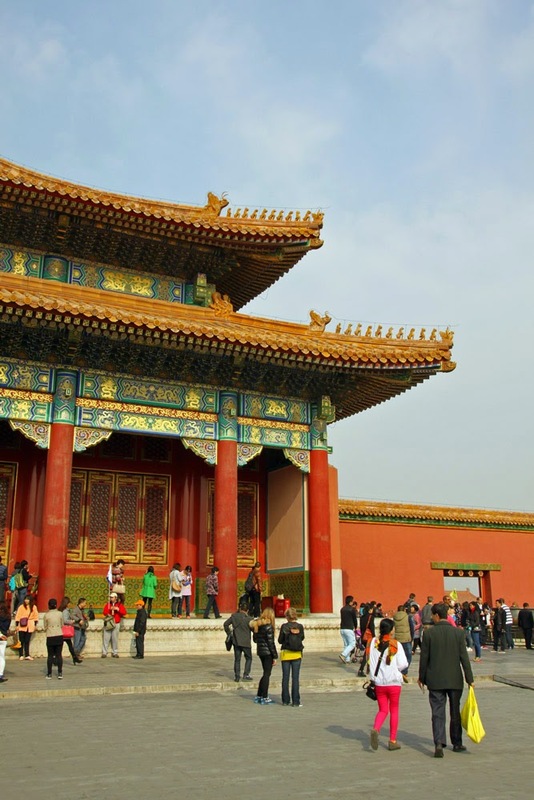 It was the imperial palace for twenty-four emperors during the Ming and Qing dynasties (1368-1644) and only people with special permission of the emperor were allowed to enter, which is basically why it's name is 'The Forbidden City' or 'Gu Gong' as it's called in Chinese. 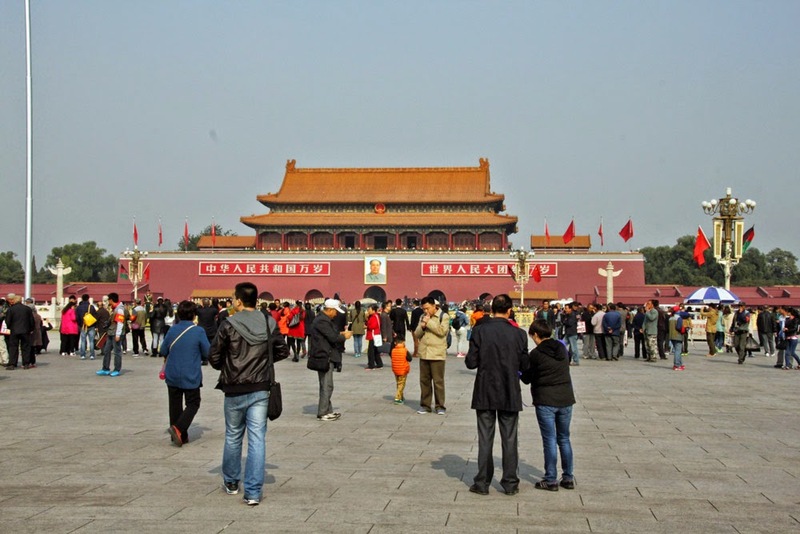 I got off at Tian'anmen East metro station and went to see the Tiananmen Square first. With its 440,000 sqaure meters it's the fourth largest square in the world. I was standing there and just felt like a little ant or something. I don’t know, if China is just not so attractive for foreigners in October or if it’s just coincidence, but I was somehow the only blonde person on the whole square. I couldn’t even spot any foreigners with dark hair. I at some point crossed the street by an underpath to get to the Forbidden City. However, the queue was way to long, so rather than queuing up for hours I decided to have a stroll in the park next to it first. 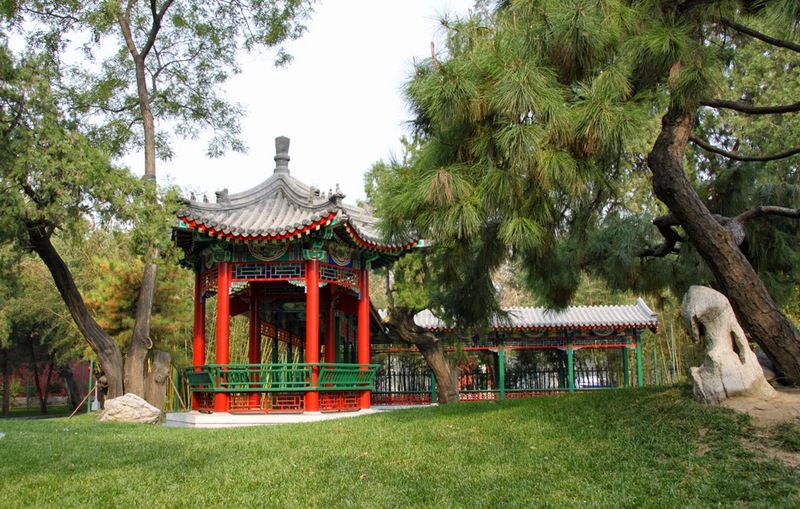 It’s called Zhongshan Park and the entry fee is 3 RMB, which is equivalent to 30 pence. The park is huge and very beautiful, so it’s definitely worth a visit, if you want to escape the masses. I entered Forbidden City around noon, which seems to be a good time to do so. The masses have already passed and I only had to queue for 20mins at the ticket office. 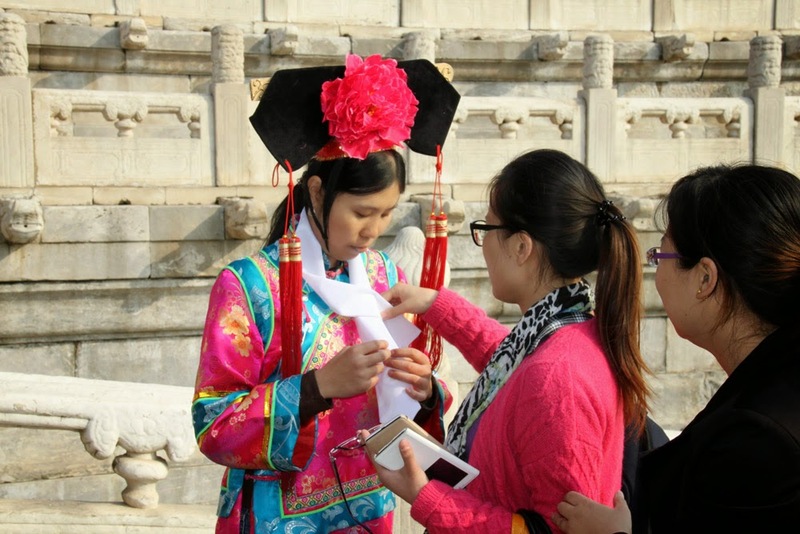 Entry is 60 RMB and 40 RMB for an optional audio guide. 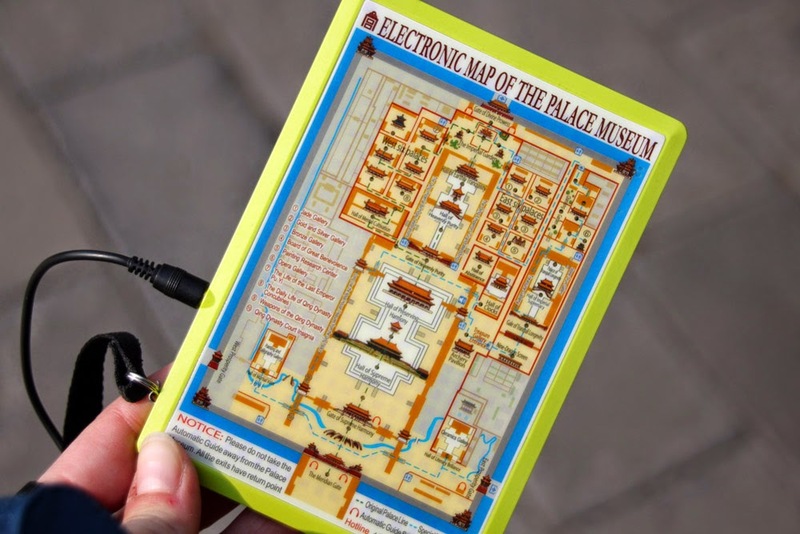 I totally recommend to get one as the whole palace is massive and not all the signs are in English. Pretty handy is the map that comes with the guide. It always shows your location and gives you good directions where to go next. It also shows you where you’ve already been with basically switching the little red light off for places you’ve already seen. And a map is definitely needed. 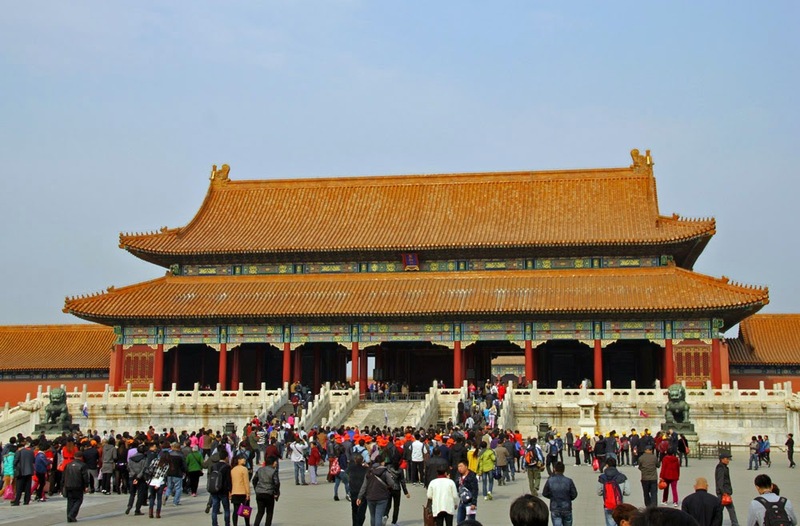 Rectangular in shape, The Forbidden City is the world's largest palace complex and covers 74 hectares. 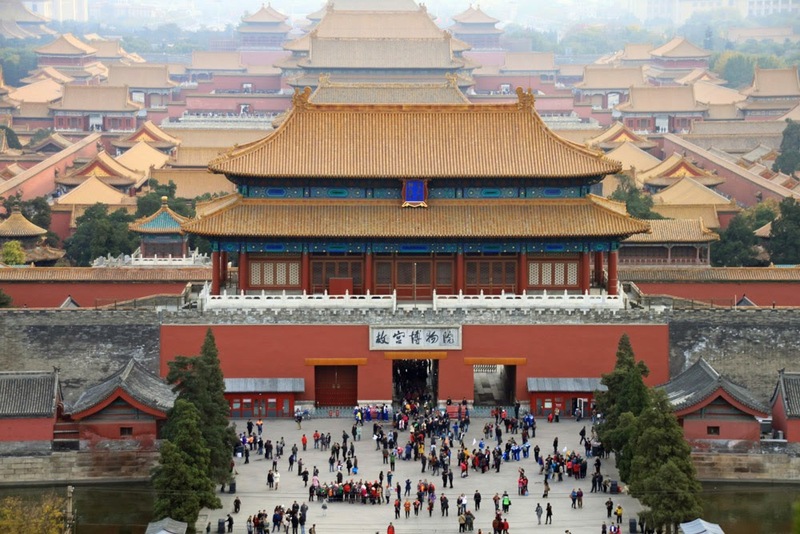 Surrounded by a 52-meter-wide moat and a 10-meter-high wall are more than 8,700 rooms. The wall has a gate on each side. The distance between these two gates is 960 meters, while the distance between the east and west gates is 750 meters. I spend 4hrs in there and haven’t even seen everything. I just got so tired after a while and decided to leave. 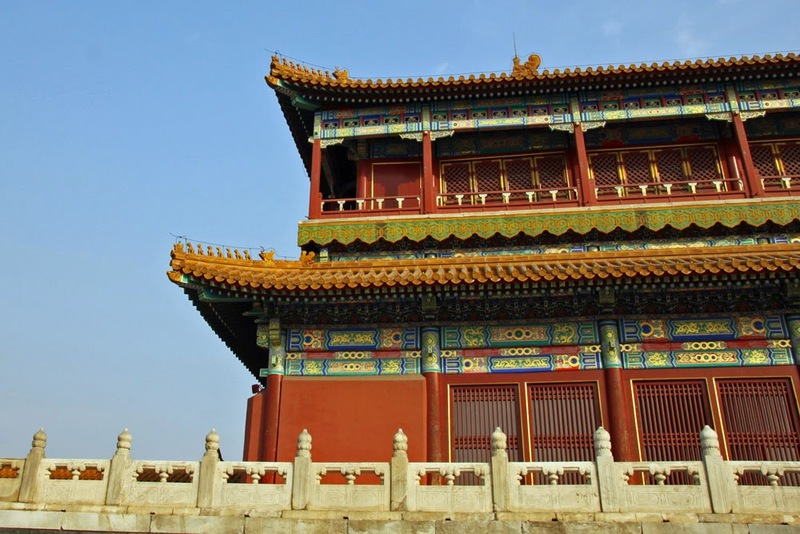 After I came out of the Forbidden City I noticed something that looked like a viewing platform, so I decided to have a closer look. I crossed the street and it turned out to be another park. Cause the viewing platform looked well promising I decided to get a ticket (3 RMB) to get in and have a stroll around. This was definitely a brilliant decision. The view was brilliant. 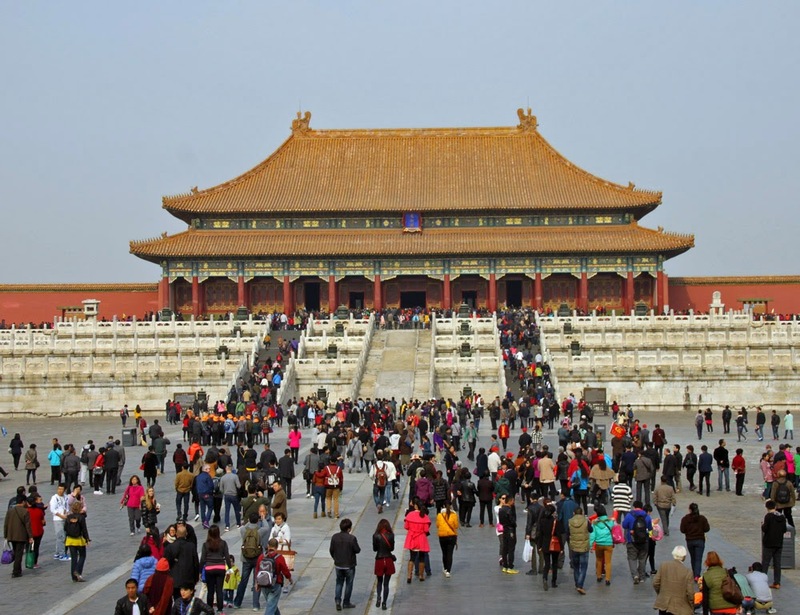 It even more showed how massive and complex the Forbidden City is. Seeing it from above it totally made sense for me why they call it city. The park also gave me some insides of how Chinese people spend their free time. I saw a lot of elderly men practicing some sport I’ve never seen before. I definitely have to look closer into this and will update you on this then. There were also some people playing something similar to hacky sack and a men practising some instrument. Anyone knows this instrument? Please comment! I need to find out.